I started my own Direct Sales business as a Scentsy Consultant over six years ago. If you would have told me before that time that I would start a Party Plan type company and not only stick with it, but be successful with it, I would not have believed you. I have never been the home party or entertaining type, so I never would have thought a Party Plan Direct Sales company like Scentsy would have been a fit for me. I am so glad I started my Direct Sales business against my natural inclination, and decided to start my own Direct Sales business with Scentsy. I have been able to stay home with my kids and be able to add to our finances in ways I never would have imagined. The extra income has been such a blessing, but I have also gotten promotions and praise, and recognition at National Conventions and invitations for public speaking in front of hundreds of people. I have earned free incentive trips to exotic places I wouldn’t have taken, especially while my children are still young. My husband and I get to go to Mexico every year for Scentsy’s Annual Leadership Retreat and enjoy the beautiful setting and rub shoulders with Scentsy’s best of the best. Never thought I would be a work at home Mom, and own my own company, but it has been so rewarding and I am so glad I decided to give Direct Sales a try. Scentsy is not a pyramid scheme, but it’s a Direct Sales Party Plan company. Some people think that a Direct Sales business is easy or a way to make lots of money quickly. It is a great business to build, since I get to be paid on the personal sales I make, as well as the sales from my team members in my business, so my earning potential is huge, while my risk and investment is minimal. I graduated from college in Business Management and always thought I wanted to own or run a business. What I didn’t think of, was how easy it would be to run a Direct Sales Party Plan company instead of a traditional business. 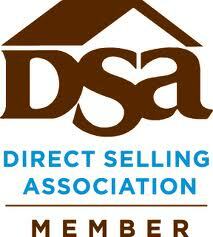 There are many Direct Sales companies to choose from, but make sure any company you are considering joining is a member of the Direct Selling Association (DSA). That ensures compliance within a certain code of ethics, and will help guarantee the business is legitimate and give you the best chances of success with your new business. I am so glad I chose to start a Scentsy Direct Sales business and would heartily recommend it to anyone looking for a great home business opportunity with a wonderful Direct Sales company. Ready to join Scentsy and start your own Direct Sales business? Start your Scentsy business today!